When you can see this beautiful red light house you will know you are at Ponce Inlet, just south of Daytona and Daytona Beach Shores in Volusia County. This beautiful seaside town was named after the former explorer Ponce de Leon who found the island back in 1513. Nesting on Florida’s East Coast, this beach town offers residents the best of both worlds. The relaxing atmosphere lends to a low key lifestyyle with plenty of amenities to suit everyone. Restaurants, shopping, and entertainment are all nearby. Situated just 10 miles South of Daytona Beach, Ponce Inlet has easy access to all the surrounding areas in Volusia County. You can easily explore Ormond Beach, Port Orange, New Smyrna Beach as well as Daytona and Daytona Beach shores. Don’t forget that Orlando is just an hour away. If you love being near the water, the white sand beaches of Ponce Inlet will stun you. From amazing condo units to family homes, there is a lifestyle to be had to fit any budget. From a private 9-hole golf course to fishing piers, tennis courts, indoor and outdoor pools, you will find that ponce Inlet has everything you need to live a low key relaxing beach life. 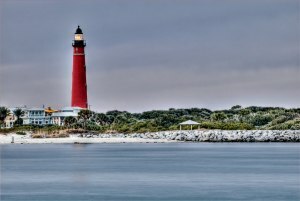 Ponce Inlet is a beautiful little beach town and a must see for anyone considering moving to Volusia County beach life. The Lighthouse and Museum here in Ponce Inlet are historic and the lighthouse is the tallest in the entire state of Florida. 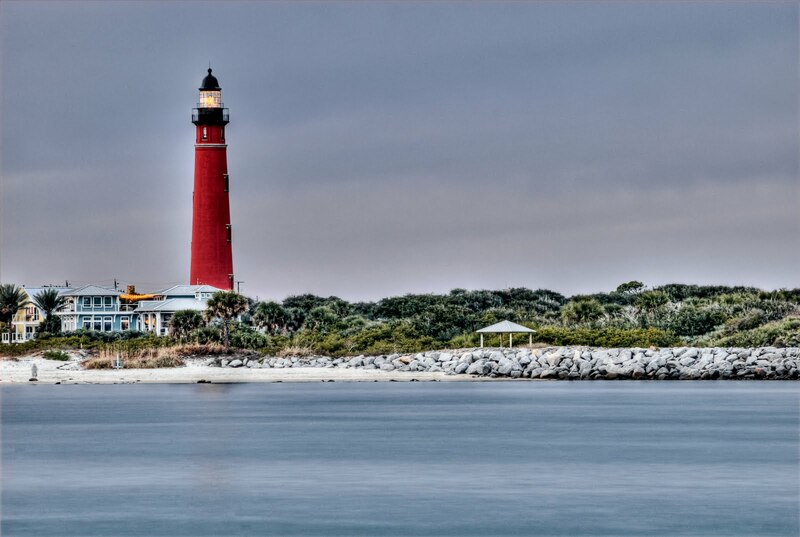 This Historic Landmark draws over 140,000 visitors each year and most will make the 175 steps to the top for the breathtaking views of the surrounding areas of Ponce Inlet and New Smyrna. When you become a resident of Ponce Inlet, you are automatically granted a member of the Ponce Inlet Community Center which provides social and recreational programs, sports, plenty of clubs and organizations. How is that for a beach town welcome?